The Ordinary World, being the most widely-circulated contemporary Chinese novels, is reputed as the “gem in the crown of the Mao Dun Literature Prize”. 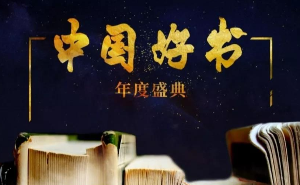 It has ranked at the very top of current and historical popularity lists for contemporary Chinese literature, and great masses of university students regard it as their favorite and most treasured literary work. This work by Lu Yao is truly a legend in the realm of Chinese literature. Its first edition was published by China Literature and Art Federation Press in Dec. 1986, and in Mar. 1991 the novel was awarded the 3rd Mao Dun Literature Prize. He began writing the novel in 1975 and finished it on May 25, 1988. The million-word masterpiece spans a total of three volumes, giving a panoramic depiction of contemporary life in both the city and countryside throughout China. Through this broad span of time lasting through the mid 1970’s and 1980’s, Lu Yao portrays a myriad of ordinary people from each social strata, with the brothers Sun Shao’an and Sun Shaoping serving as the central characters. And all throughout, the novel reflects the twists and turns people go through in an era that intertwines work with love, failure with pursuit, misery with pleasure, and daily routines with mounting social pressures. The Ordinary World eulogizes ordinary workers in a warm and realistic manner and translates misery into a motivating spiritual force. While the new age sees no lack of writers who focus on the narration of miseries, there is a lack of writers who translate miseries into a spiritual motivator. In depicting the harsh living circumstances of commonplace people, the novel endeavors to demonstrate the beauty of their souls and their undaunted will in overcoming all difficulties and challenges. The protagonists Sun Shao’an and Sun Shaoping are two young men struggling on the poverty line. But through their unyielding self-reliance and unremitting perseverance, they manage to alter their fate, realizing their self value. While Sun Shao’an determines to change his fate while staying rooted in soil of his home, Sun Shaoping possesses modern knowledge and aspires to integrate into urban society, this plot counterpoint providing a dual-reflection on the lives of many Chinese people. The passion and idealism radiated from the novel has wide significance for today, a time when works illustrating the pettiness and humbleness of life dominate the greater part of the market, while works promoting ideals and passion are a rare sight. Honestly, how can life go on without ideals or passion? This is the very stuff life is made of, even more so the lives of our younger generations. And this could well be the reason why this book has been popular all these decades. Lu Yao, whose original name is Wang Weiguo, was a Han nationality author. In 1973, he began to create works of literature while studying in the Chinese Department of Yan’an University. After graduation, he became an editor of Shaanxi Art and Literature (presently Yanhe Magazine). In 1980 Lu Yao published A Thrilling Scene which won the 1st National Best Novella Award. In 1982, he published his novella Life depicting the life experiences and pursuits of a rural educated youth. The book was so well-received that it won the 2nd National Best Novella Award while its film adaptation also became a national hit and won the Best Feature Film at the 8th Popular Movies Hundred Flowers Awards. In the Difficult Days won the Dangdai Bimonthly Novella Award in 1982 and Lu Yao joined the Chinese Writers’ Association at the same year. In 1988 he finished The Ordinary World, his million-word novel masterpiece, getting it published by China Literary and Art Federation Press and winning the 3rd Mao Dun Literature Prize. The book began broadcasting on China National Radio even before its completion. Lu Yao died, just 42 years old, at 8:20 am on 17 November 1992 in Xi’an because of cirrhosis ascites. At the beginning of 1975, Sun Shaoping, a poor farmer’s son with low self-esteem, goes to study in a middle school at Yuanxi County. There, he develops an affection for Hao Hongmei, who was born to a landlord’s family but was placed in the same situation as him. But his affection is discovered and made known by his classmate Hou Yuying, ruining his friendship with Hao. Later, Hao falls in love with Gu Yangmin, who comes from a rich family. After graduating from middle school, Shaoping returns to his birth place to become a teacher. But he does not lose heart and become friends with Tian Xiaoxia, daughter of Tian Fujun, deputy director of the county revolutionary committee, and with her help begins to take an interest in affairs outside their community. His brother Shao’an has been working at home all this while, simultaneously carrying an innocent affection for Tian Runye, a teacher from the county, since childhood. But their mutual love is not blessed by her father, Tian Futang. After much agonizing pain, Shao’an goes to Shanxi and marries Xiulian, a hardworking and kind girl. Runye is then involuntarily married to Li Xiangqian, a man introduced by her father whose affections have never subsided. But at this time their rural life is sheer chaos, a situation made worse by a drought. In order to consolidate his authority, Tian Futang arranges to secretly fight the community living up-river by digging holes in their dams in the middle of the night – an action that gets some villagers killed. Stirring up even more bitterness in the community is the big fuss he makes over mountain-exploding, field repairs, and booting farmers out of their original residences, doing so all under the disguised emulation of the “Dazhai Model of Agricultural Production”. In the spring of 1979, everything must be rebuilt and every conflict settled following the convocation of the Third Plenary Session of the 11th CPC Central Committee. Tian Futang calls an urgent meeting with the party branch members in resistance against the production accountability system, while Sun Shao’an implements it first on the production team and then across the whole village. The quick-witted Shao’an goes to town to haul bricks, building a brick-firing kiln with his savings and becoming officially recognized as an outstanding farmer in the community. Prompted by youthful aspirations, his brother Shaoping also wants to go out and experience the world. Transforming from a drifting worker into a true-blue construction worker, he finally has an opportunity to work as a miner. His girlfriend Xiaoxia becomes a reporter for the provincial newspaper after graduating from a normal college, and they agree to meet again in two years. However, she feels no love for him, and instead leaves to work in a league party committee, causing the love-struck Shaoping to take up the bottle and eventually cripple himself drunk driving. Runye returns to him out of guilt and their happy life ensues. During this time, her brother Runsheng has grown-up and marries the ill-fated Hao Hongmei after their chance meeting out in the world. Tian Futang, who once led the whole village under an iron fist, not only resists time’s changes, but is infuriated by his children’s marriages. As an added annoyance, he is tortured by disease. In 1982, Sun Shaoping arrives at the coalmine, devotes himself to the job, and transforms from a student into an outstanding worker. However, just as he and Tian Xiaoxia experience burning love for each other, the latter loses her life attempting to save flood victims while doing an interview on the event. The news of her death sent by Tian Fujun via telegraph throws Sun Shaoping into deep remorse. During this time, the brick cave built by Shao’an takes off. He decides to expand it and introduce machinery using bank loans, only to suffer huge losses thanks to an ignorant technician. But with the help of friends and the county head, he starts all over again and eventually becomes a leading figure in the area. However, disaster strikes when Xiulian is diagnosed with lung cancer after spiting up blood at a meeting celebrating their 15,000 yuan donation to the primary school for expansion. Runye lives happily and gives birth to a nice, chubby boy. Runsheng and Hao Hongmei’s parents finally approved their marriage and they have a lovely daughter. The 27-year-old Shaoping is severely injured when saving his apprentice from an accident, erasing his handsome countenance. When the Jinbo’s younger sister and childhood playmate to Shaoping confesses her love for him, Shaoping puts her down out of concern for her future and his own feelings. But these tragedies have not defeated them. Coming out of the hospital, Shaoping bravely faces his reality and returns to the coal mine with confidence. He is ready to embrace a new life with all its challenges.